Taking over the reins on a well-established 50 year old family business, 3rd generation family member Matt Cleevely has taken his own passion for sustainability and put in place a business vision that marries the heritage of Cleevely Motors and a future commitment to all things electric. Here he shares how he is transitioning the business and why he has such faith in a sustainable future. Many of us in Gloucestershire will know Tivoli based Cleevely Motors; a family owned garage that has been the go-to for car servicing, MOT and repairs for more than half a century. 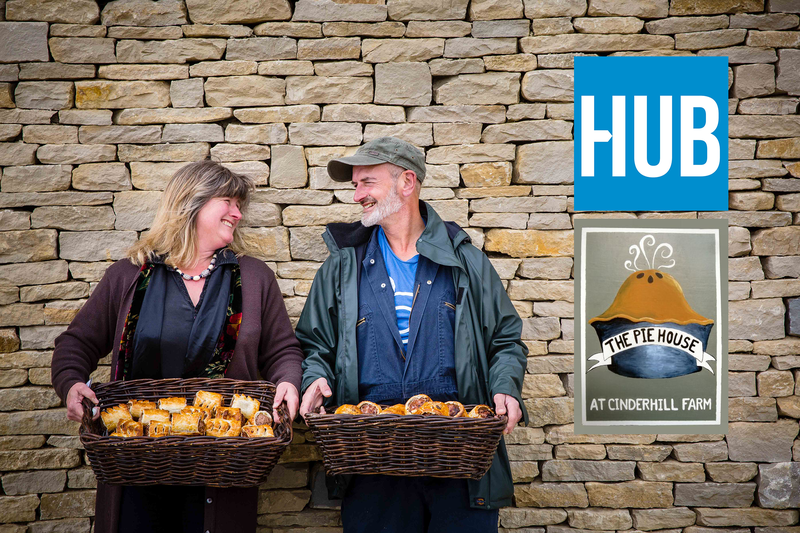 Having built their business primarily through reputation and word of mouth, they are testament to the power of outstanding customer service and the benefit of building a loyal customer base, also having just won Family Business of the Year at the Gloucestershire Live Business Awards. In this third instalment of the Growth Hub Talks series, we meet the man with the plan to take this service experience to a new kind of level and who definitely isn’t afraid to get his hands dirty. Where did the plan for Cleevely Electric Vehicles come from? As a family we have always been committed to sustainability and limiting the impact we have on the environment. A couple of years ago I realised that I was constantly having to do repairs to my wife’s car due mainly to the fact that it was only ever being used for short runs and school drop offs. It just didn’t make sense to keep running that vehicle so I set about finding an electric vehicle (EV) that we could use instead. I wanted to buy a Nissan Leaf but literally couldn’t find anyone in the area that could sell me one. With small margins, garages didn’t want to retail and there was still a lack of real understanding or opportunity for me to find an expert and get the advice I needed. So I thought if I’m struggling others must be too. And the idea for Cleevely Electric Vehicles was borne! This is still a relatively new market? What research did you do to minimise risk? First we profiled the likely customer type. Someone with a commitment to sustainability, who’s money wise and happy to invest in a longer term payoff. Then we also approached brand leaders in the sector, namely Tesla, to get feedback on the regional adoption of EV. Gloucestershire was confirmed to be in the heart of the region most interested in EV adoption. So geography and socio-economic stats aligned enough to give us the confidence to move forwards. In addition, the future economic impacts for EV speak for themselves. Zero road tax, reductions in BIK (Benefit in Kind) and significantly reduced fuel costs – everything points towards an EV future. But as important as the trend forecasting, the sheer belief and determination we had to make this work helped us to power on. Where did the Growth Hub step in? We set the business up in January 2018 and at that time knew we wanted to look for some additional support. We completed the online support request form on the Growth Hub website and were invited in to a Discovery Meeting with Agi. From this initial diagnostic we quickly established where we needed to place our focus in order to achieve what we set out to do and it became apparent that the move to a new premises was absolutely key. We then went on to work with Andy Kime, one of the Growth Hub Business Guides, who apart from being a total petrol head which helped hugely, was also able to give us expert guidance around the financial and operational aspects of the business plan. We wanted to build the business without massive borrowing and Andy, with his banking background, was the absolute best person to have on our team. From helping us secure a prime new site through advice and negotiation with our landlords to the constant stream of referrals that Andy points in our direction, the help he and Agi have provided has been absolutely key and it now feels like dealing with a friend. Other than premises and financial issues have there been any other major challenges that you have had to overcome? Getting the keys to our new site on 18 June 2018 we were all ready to get going and start putting everything in place to be open for business within 8 weeks. What we hadn’t planned on was the entire site being flooded with 1” deep water throughout the 4000 sq ft site. So I picked up a broom and spent many hours sweeping through the whole site, armed with dehumidifiers, broom and vacuums. And I am delighted to say that we were still able to open a fully operational, signed off MOT station on schedule. You’ve got to be prepared to get your hands dirty to keep business moving forwards. And what about the team? This has been another challenge but one that we have overcome. With electric motors still being in their infancy, finding skilled workers has been hard. With only 2% of mechanics being trained in high voltage we have to pay our staff well and also entice them from other businesses. This means we have to prove that we have a real commitment to the future of the business and demonstrate that we are building a business that is here to last. I am delighted that we now have a team of 9 made up of technicians and Administrators and I see this team carrying us through for years to come. OK, so looking to the future what does success look like for Cleevely Electric Vehicles? I want us to be the go to place for any customer considering a move to an electric vehicle. Our business will be firmly positioned as the trusted expert and partner for all things electric, whether someone is looking for an introduction to electric vehicles, or a business wants to switch their fleet but needs the stats to back up the change, or perhaps a person would like to hire for a while so they can see the benefits for themselves before committing to a purchase. We will provide a total end to end service from education through to retail through to servicing and maintenance, building on the solid reputation we already hold but equipping ourselves and our customers for the future. We know that there are still a lot of questions surrounding EV and we see education as a key part of the service we will deliver. Dispelling the myths and showing the practical benefits that a move to electric vehicles can bring. I want us to be in business for another 50 years and I see Cleevely Electric Vehicles as the ‘driver’ behind this – no pun intended! And lastly, what’s the one piece of advice you’d give to someone considering growing or diversifying their business? Without question I would say go and get the right advice and never lose the determination to succeed. Speak to the very best people that you can and keep your focus on the plan. You have to have total faith in the vision and always remember to keep one eye on the future, because if you haven’t truly bought into your own vision, the road to success will be so much harder and in all likelihood you won’t make it. And a closing word from Business Guide Andy Kime. Working with Matt and the team has been a real pleasure. To find a local business with such a strong heritage and an equally strong commitment to a clear future vision is impressive. 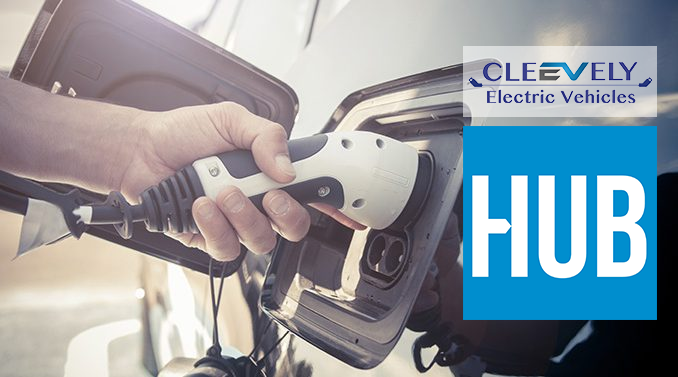 I have absolutely no doubt that Cleevely Electric Vehicles will go onto achieve their ambition and I am proud that the Growth Hub has been able to play a part in helping them towards this.